As the aging population in the United States continues to grow, there is a greater need for healthy aging strategies, and for safe rehabilitative therapies for the geriatric population. According to the US Department of Health and Human Services, in 2013 the population of persons 65 years or older was 44.7 million, representing 14.1% of the U.S. population. By 2060, it is predicted that there will be about 98 million older persons. 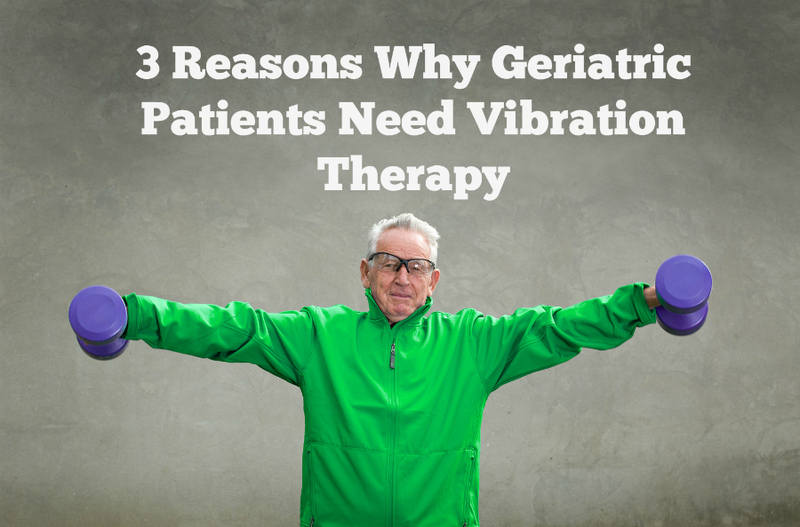 Vibration therapy is an intelligent rehabilitation strategy for this aging population for multiple reasons. The research shows that vibration therapy is effective in increasing bone density in elderly patients, making it an effective osteoporosis prevention strategy. 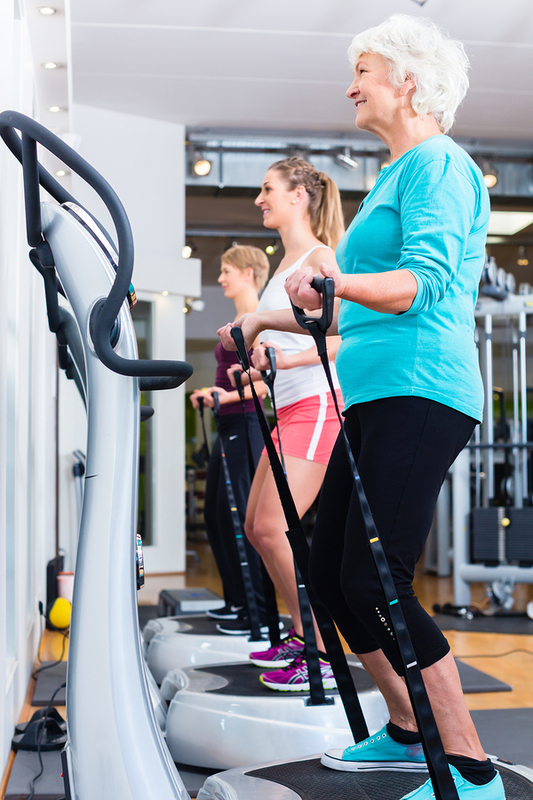 Whole body vibration has been shown to be safe for populations of all ages. For patients who have compromised balance, they too will feel safe utilizing vibration therapy as they can hold on to the hand rails on the whole body vibration platform. Balance training is a fundamental component of geriatric patient care. When elderly individuals lose their balance ability, they lose a high level of their independence as human beings. They become functionally dependent, often leading to a higher level of depression. There are many benefits of Vibration Therapy for the elderly, and perhaps the most beneficial part is that they are able to achieve these benefits without adding excess stress to their bodies. Vibration Therapy is easy on the joints. The patients achieve cardiovascular and strength training results without compromising the integrity of their joints. Low stress form of exercise: When elderly patients perform exercises without vibration, there are reported increases in the circulating levels of Insulin-like Growth Factor, IGF-1, and cortisol. These hormones are associated with stress, affecting the patients’ ability to recover from exercise sessions.When exercise is performed with Vibration Therapy this hormonal stress is decreased. There is also less stress to the joints in comparison to traditional strength training protocols making Vibration Therapy safe for patients at all levels of postural fitness. Increased bone mineral density to prevent osteoporosis: Whole body vibration, when performed at a high frequency has been shown to increase bone mineral density. Geriatric patients at risk for osteoporosis demonstrate a low level of bone mineral density as seen on their DEXA scan score.To prevent the onset of osteoporosis or to prevent the progression of further bone loss, Vibration Therapy is a useful modality. Bone density improvements of up to 12% in one year have been documented in clinical studies of elderly patients who regularly utilize Vibration Therapy (Verschueren, 2004). Improves balance and stability: Lack of balance and stability in the elderly population is a serious public health concern. As elderly patients lose their balance, their level of independence is greatly decreased. Falls in the elderly can lead to serious physiologic compromise such as fractures with a lengthy rehabilitation period.Piecha (2014) concluded that long term utilization of Vibration Therapy improves balance and reduces postural sway associated with instability. Elderly patients are encouraged to perform balance training exercises on the vibration plate for maximal benefit. Are you interested in learning more about how Vibration and Posture are related and your practice can benefit? Click the image below and sign up for a Free Training Series on posture and vibration for all age populations.